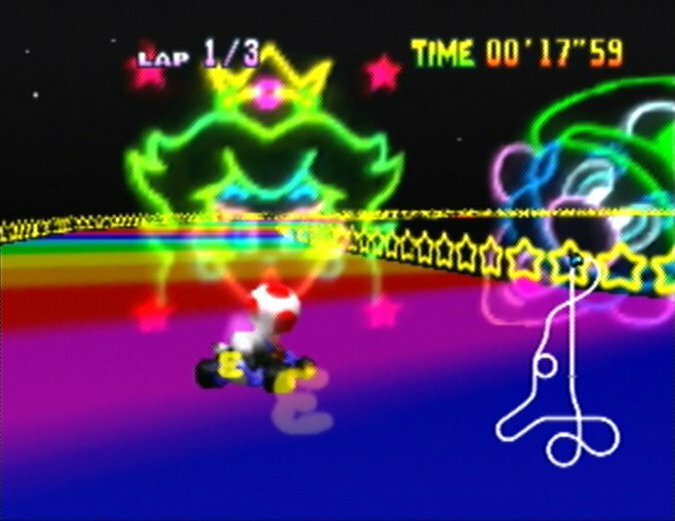 Mario Kart 64’s 3D tracks impressed gamers the world over back in 1996/97, but how do they hold up over two decades later? 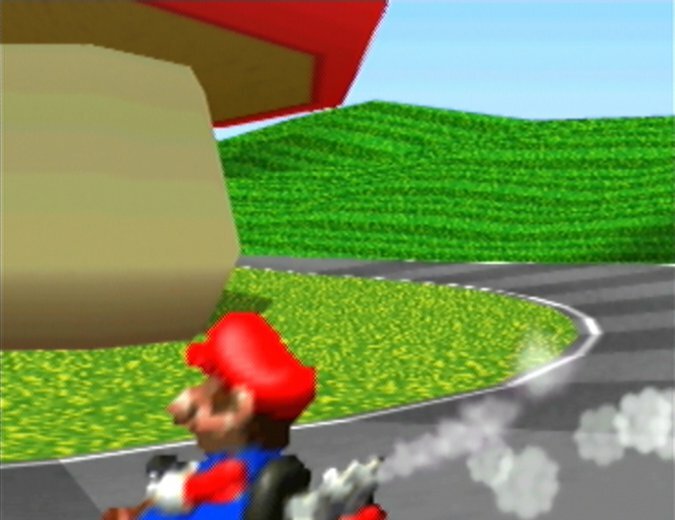 We’ve drawn up a list of all 16 Mario Kart 64 tracks, ranking them from worst to best based on how enjoyable they are today. 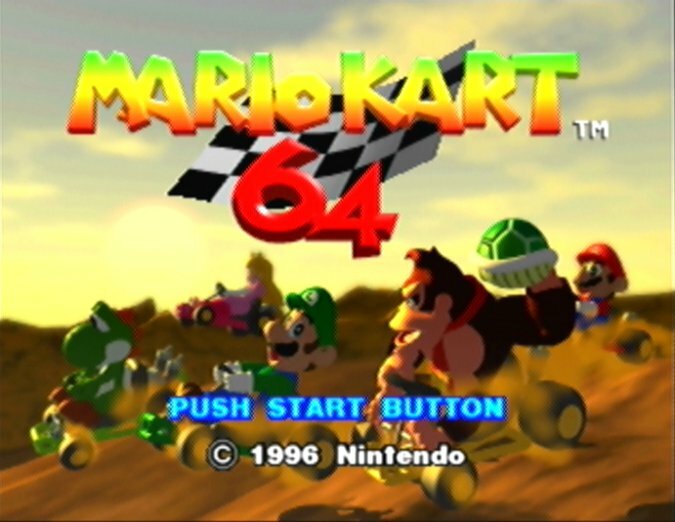 What do you think the best Mario Kart 64 track is? Let us know in our poll. Choco Mountain sits at the bottom of our list because it’s just so dull. Except for a few falling boulders, there’s simply nothing exciting or interesting about this track. 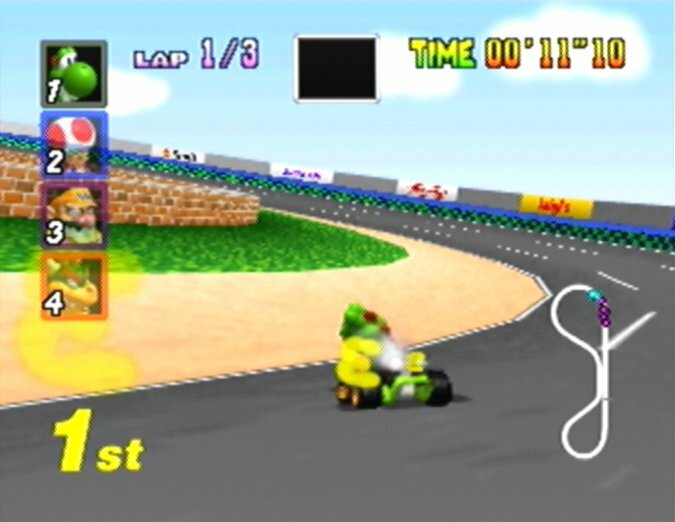 Part of the track doesn’t feature a barrier at 100cc level and above. As a result, you can fall off and lose a lot of progress. But it’s more annoying than fun. Despite delivering an eerie atmosphere, Banshee Boardwalk is far from a thrilling experience. There’s just so little in the way of hazards and obstacles. The only real challenge is staying on the track due to most of it not having any barriers. 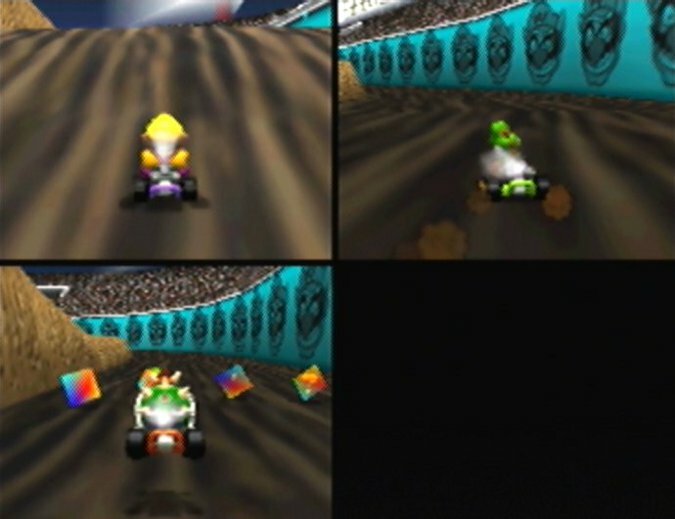 For experienced Mario Kart 64 players, it’s pretty straightforward. 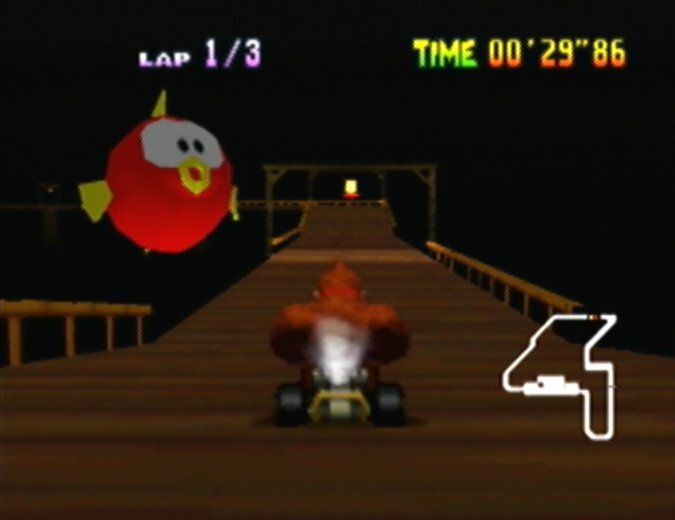 For everyone else, it’s spending most of the race being fished out of the water by Lakitu. It’s super colourful and the music is enchanting. 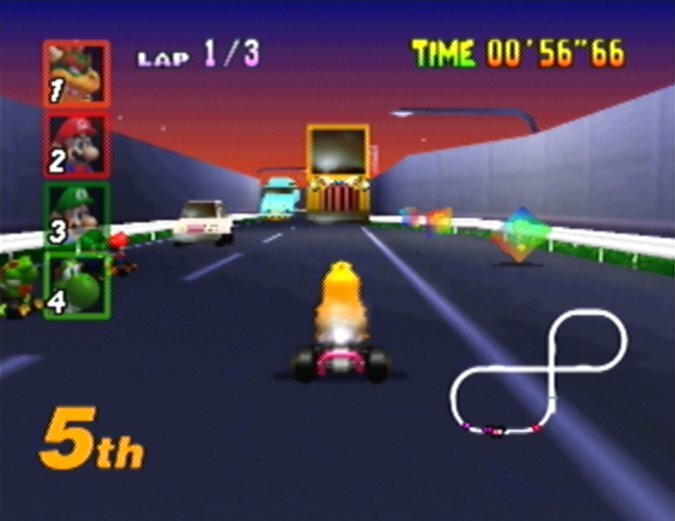 But otherwise Rainbow Road is too long, relatively featureless and not that visually impressive. It’s possible to skip a lot of the track by making a leap of faith near the starting line. That’s about as exciting as it get. 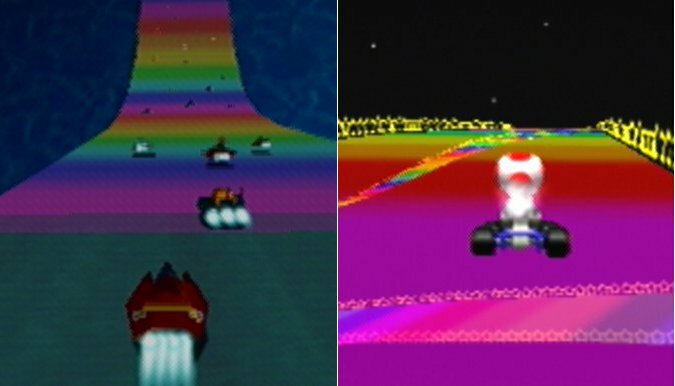 Rainbow Road appeared again in F-Zero X. Here, it’s a lot more challenging and not nearly as long thanks to those super-fast vehicles! 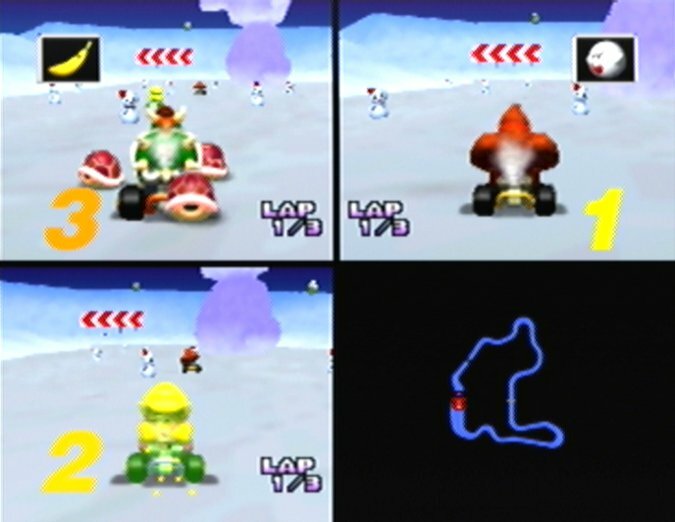 Luigi Raceway’s position in our list is a little unfortunate. The track ultimately delivers what it sets out to do. It’s the first track of the game, so it’s meant to be simple and straightforward. At the same time, that means it’s not the most exciting or challenging. A tropical beach should inspire all sorts of ideas for track features and obstacles. And yet Koopa Troopa Beach is pretty mediocre. There are palm trees and pesky crabs to slow you down. But otherwise this course is overly reliant on ramps that don’t seem to do anything other than host item boxes. There is one exception. One ramp leads to a hidden cave that acts as a shortcut. Make the jump and you’ll pop out of a waterfall – it’s a great way to climb up the ranks or further cement your lead. 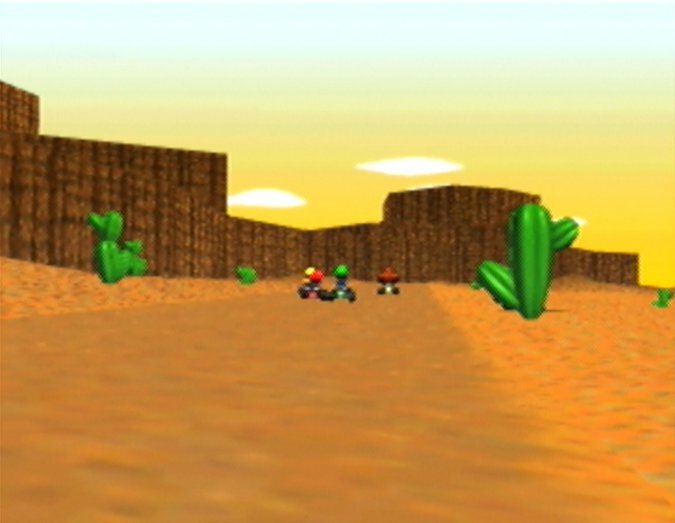 There’s very little in the way of obstacles, but Mario Raceway features a lot of tight, challenging turns. It’s a great way to finish off Flower Cup! Sticking to the meandering track is tough. 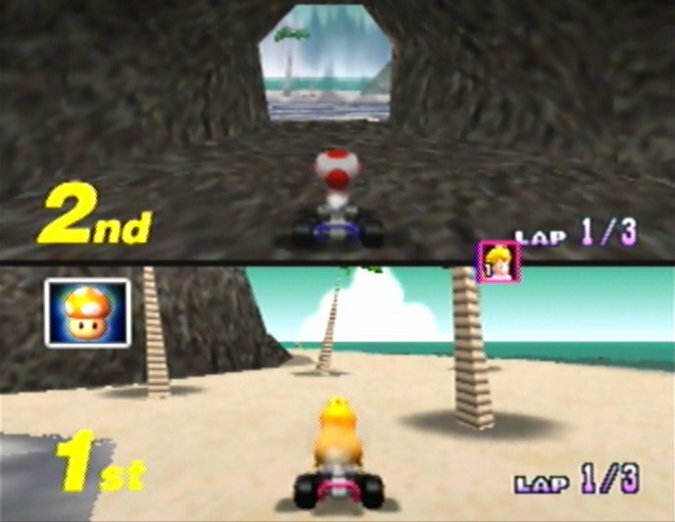 But with a tactical mushroom-enabled speed boost or Super Star, you can cut corners and overtake opponents. This arctic course looks lovely, especially as you can see your character’s reflection in the ice. Penguins feature throughout, acting as moving obstacles that are very good at getting in your way. It’s not the easiest track either, featuring some pretty tight turns. Miss these and you’ll sink into freezing water and be returned to the track as a block of ice! Oddly enough, Kalimari Desert has nothing to do with squid. What it does have though is a train. And not just any train – a steam train, complete with five carriages! There are two railway crossings that can cause absolute mayhem if get to them as the train does. Not fussed about racing – or health and safety? Then you can also drive on the tracks and explore the train tunnel. Sadly, the rest of the track isn’t particularly interesting or challenging. The biggest issue, however, is that the train loses all of its carriages in multiplayer with three or more players due to hardware limitations. In two player it only has one. It’s a shame because it’s no longer much of a hazard. Wario Stadium is a faithful tribute to real-world dirt bike stadiums, featuring all the bumps and jumps you’d typically expect. The massive jump that sits about two-thirds of the way round the track presents a great make-it-or-break moment. 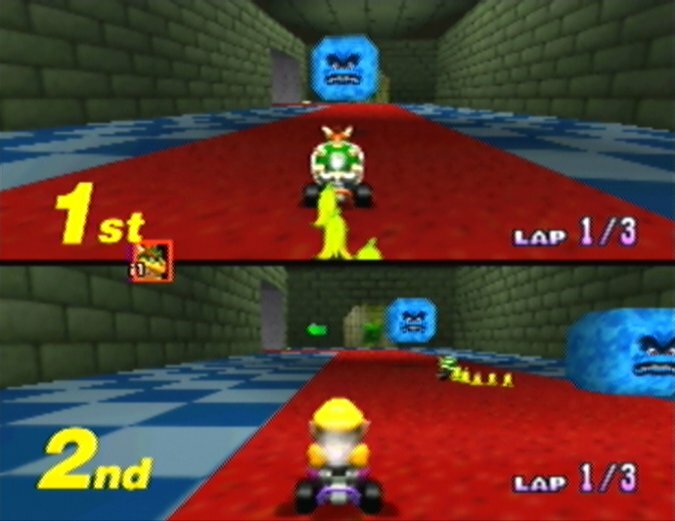 Players can screw one another over with a well-timed projectile or lightning bolt power-up, forcing them to then redo a considerable portion of the track. Nevertheless, Wario Stadium’s sheen has rubbed off over 20 years later. The ups and downs just aren’t very impressive anymore, and the track is also a bit too long for our liking. 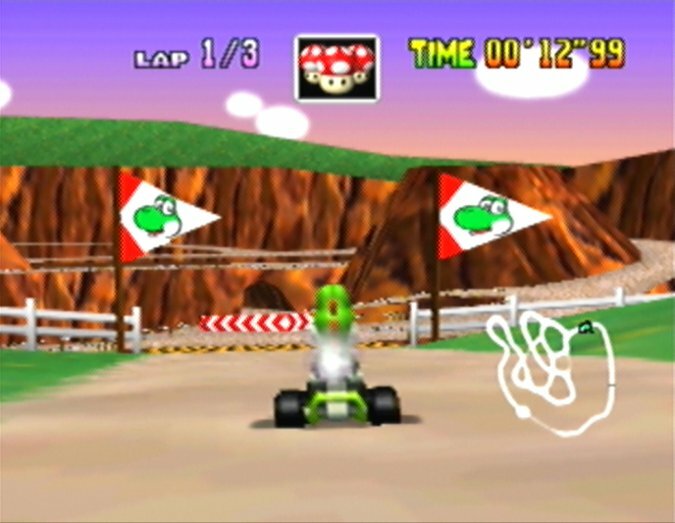 Featuring multiple paths for racers to take, while keeping everyone’s position a secret, Yoshi Valley’s novel concept works for the most part. If you know the track well (who doesn’t by now?) then it’s very easy to work out where you are in the race. 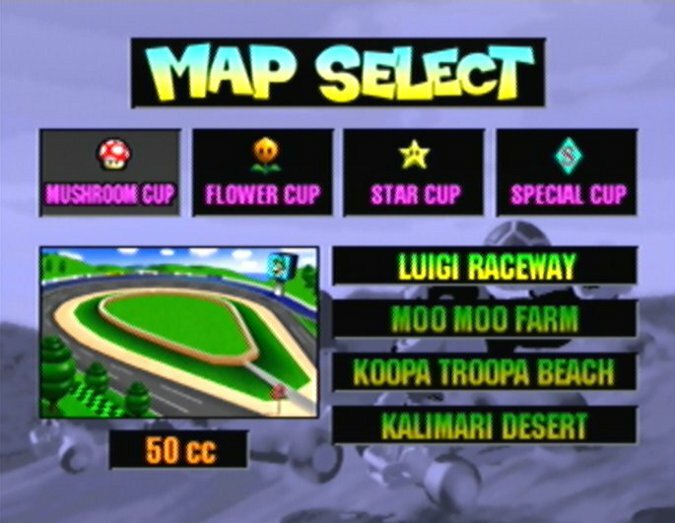 Still, very few of Mario Kart 64’s other tracks present you with a choice of route, and it’s fun working out the one that’s best for you. Don’t let the upbeat soundtrack and charming snowy scenery fool you. Frappe Snowland is a downright vicious course thanks to an army of snowmen that litter the track at the midway point. 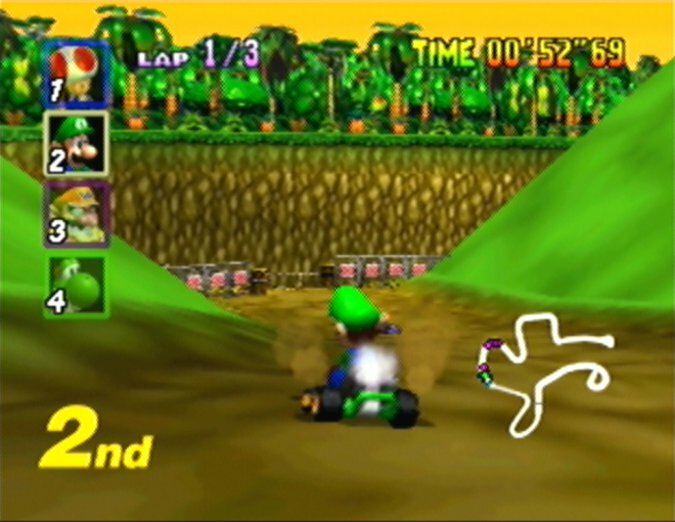 Navigating this treacherous gauntlet is anything but easy with Mario Kart 64’s unwieldy controls. It’s amazing how quickly this part alone can change the outcome of a race. This track does a great job of capturing the excitement of driving through a jungle. There’s a huge jump across the river, a paddle steamer, a rope bridge, a cave, and restless natives who throw stones at you should you go off-track. If only you could go for a relaxing boat ride instead! 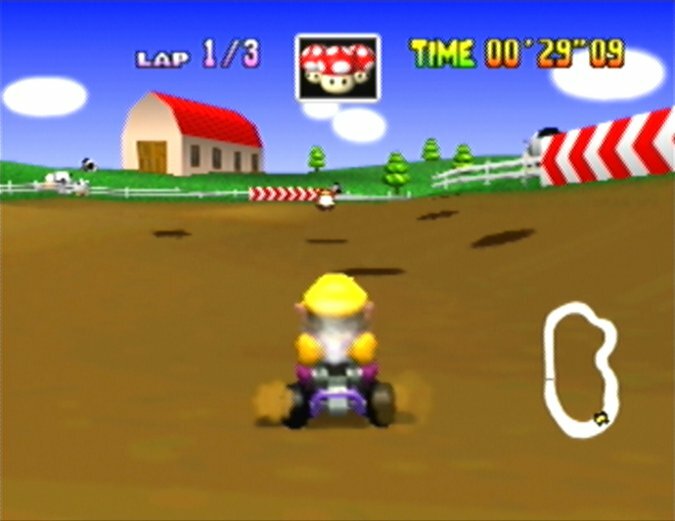 Mario Kart 64’s second track may look relatively simple, but it’s got a great risk/reward element built into it. Many of the inner corners are riddled with Monty Moles, who jump out of the ground into oncoming racers. Navigate these successfully and you may shave a few seconds off your time and overtake opponents in the process. Royal Raceway is a fun and colourful track that’s befitting of its name. After all, it features Princess Peach’s Castle from Super Mario 64. You can go off course and even drive around the castle grounds, although sadly there’s no way to get inside. The track itself features tricky turns, a huge jump and a lake you can fall into if you’re not careful. Surprisingly mobile Thwomps await you in the castle’s hallways, ready to block your route and pound you into the ground. Once you’ve survived this, you have to traverse a slim bridge over lava – not ideal with lots of other racers! There’s then a peaceful interlude in a surprisingly serene courtyard. But before you know it, you’re spiraling around one of the towers and heading for the final stretch. Just make sure you don’t go the wrong way! Bowser’s Castle may not be particularly impressive in terms of visuals. But it constantly provides excitement and challenge with its varied and hazardous route. Or perhaps not! 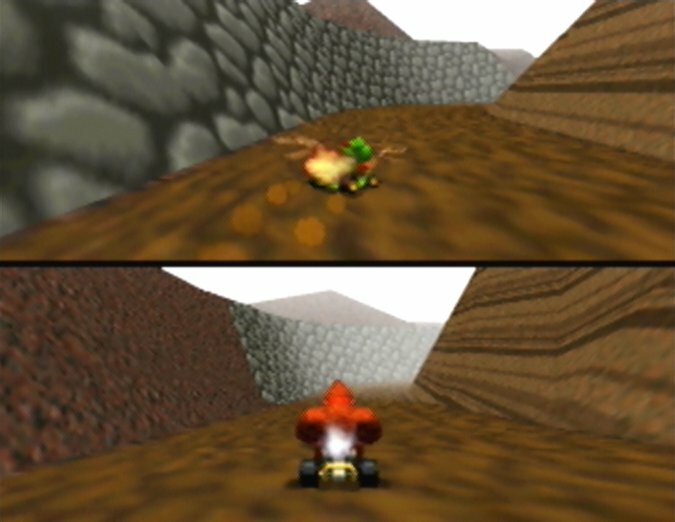 The traffic in Toad’s Turnpike will travel in the opposite direction in Mario Kart 64’s mirror mode. It’s considerably more chaotic. And if you’re not careful, you can end up getting hit by multiple vehicles in a row. It’s still a riot to play in multiplayer, and definitely the best track in the game. 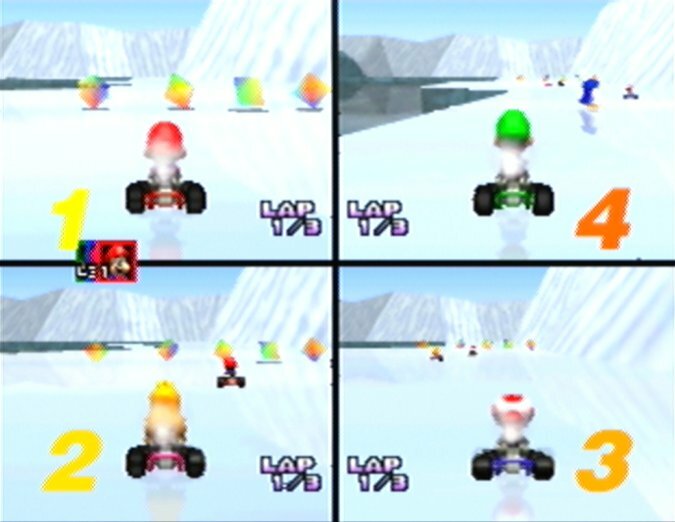 What’s your favourite Mario Kart 64 track? 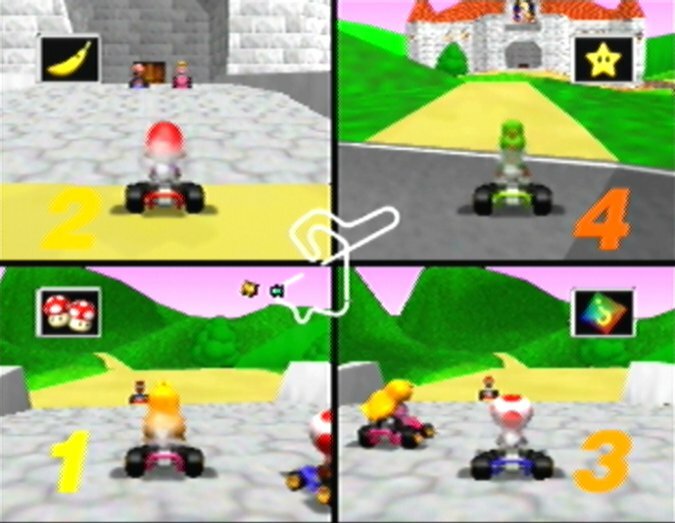 Which Mario Kart 64 track is the best? 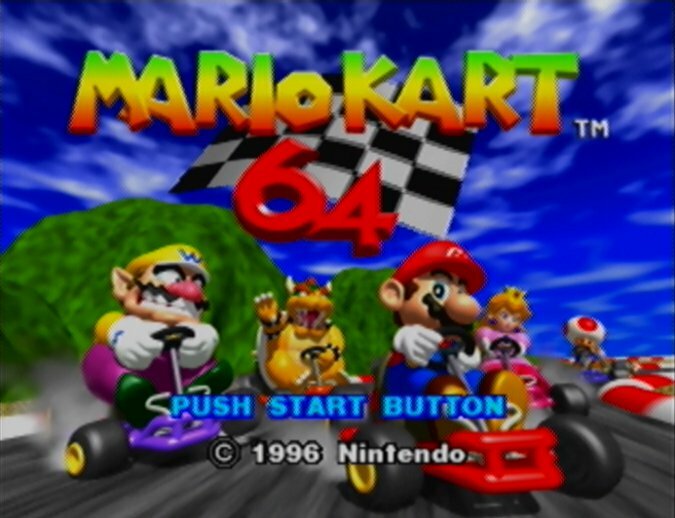 Mario Kart 64 review – how does it play today?